If you have time in online business probably you will noticed how much people are trying to put their websites on the first page of Google. But only 2% of all the people can achieve their goals. That is so minuscule. Maybe your’e one of the 98% that are struggling with your SEO and you’re asking yourself why you can’t achieve the top 10, so that bring us to this post. Today i will share with you 6 common mistakes that you’re probably doing if you are not seeing good results, so put attention carefully to this list. Keyword selection is very important when it comes put your site on the top 10 of Google. And i realised that most of the people don’t worry about it. The main problem is that people select too competitive keywords, so outrank the top 10 sites is really hard. My recommendation is that focus your energy in long tail keywords with poor competition. I promise you that if you looking hard you will find awesome keywords with poor or no competition at all, but only if you work properly. To do find your keywords you can use: The keyword planner (Free way) or Market Samurai (Paid way). I will not explain much about this because its a long topic, but you can learn more about LSI keywords on this site. Sometimes you need more links to outrank your competition, but also you need a good variety of PR back links. That means that you need high PR back links (PR 3-9) but also you need low PR links pointing to your site (PR 0-2) and a lot of people make the mistake to look only for authority links, and this also hurt your SEO. Google don’t like too much high PR back links. To my experience only 1% of your back links must be of PR6-10 sites and the rest must be a mix of PR 5 and less. A common mistake is that people focus all their energy on link building but they forget generate traffic to their site so Google thinks “How can this site get back links if it don’t have visitors to read its content, that isn’t natural”. You must be sure that your site have only unique and interesting content. Google hates the content duplicated, be careful. A lot of people think that more back links you have the better and that is not exactly true. A high amount of back links can hurt your rankings, 5 to 10 back links per week are enough to give you a place in the top 10 of Google. 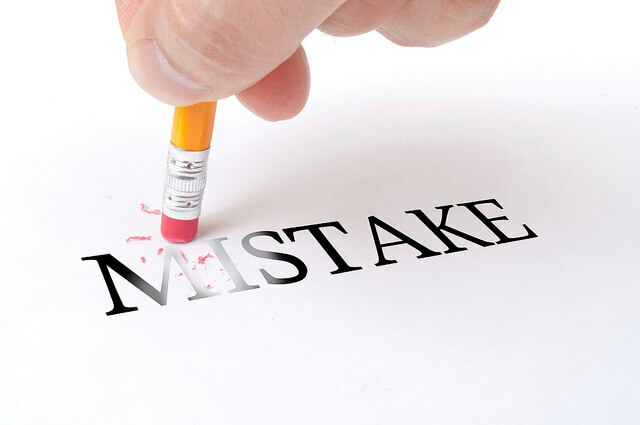 Obviously there are a lot of another mistakes that can hurt your SEO but this 6 mistakes are commonly committed and too ignored. Hopefully you find this list useful, and if you do please leave your comments below.